There are different opinions on whether the banks should work with Bitcoin or not. Some say this will make things much easier, others claim that controlled and centralized financial companies are something completely alien to the blockchain world. I will not take sides with any of these groups, but I would like to tell you about the banks in the USA that seem to me most Bitcoin friendly. First of all, you have to know that you cannot put bitcoins in your bank account. If you have ever wanted to pay for something with the cryptocurrencies, you also know that it’s unlikely that your bank can help you with this. Most of them have openly stated their opinion about the digital currencies, they are obviously reluctant to engage with emerging technologies and work with Bitcoin. As we can see, a large number of banks do not allow their customers to even use their credit cards to buy cryptocurrencies. Being against the concept of uncontrolled and decentralized money for a long while, banks are only now catching up with blockchain technology. Some admit that traditional financial institutions have been feeling threatened by this novelty. The usual excuses are evident – higher volatility and money laundering. And this is the reason why the search for a Bitcoin friendly bank is usually a hard task. Still, there is good news — it’s not impossible. Lately, large banks have taken on a tendency of warming up to Bitcoin and other major cryptocurrencies, and put them on the list of services they give to their members and customers. 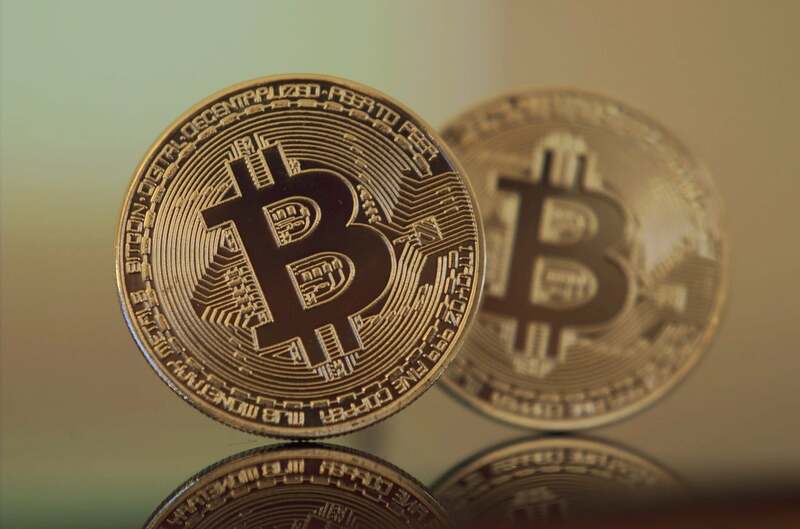 There are several Bitcoin friendly banks available on the market for crypto investors who want to buy tokens or exchange their coins for fiat money. People have been dealing with the banking system for centuries and the trust level for this cooperation is mutually advantageous and generally high. After the new generation of internet-based assets grew in popularity over the last few years, it turned out that there is a currency you can’t touch or physically hand it over to anybody in any way. However, you can easily use it to trade and buy things online, so it became a question for specialists in a banking sphere whether it’s worth it to trust this new internet phenomenon or not. the whole banking system is always balancing between making a profit and providing loans, trying to search for the best opportunities and avoid risks. They are obviously not in a hurry to unite with the cryptocurrency business, waiting for more solid ground, foreseeable guarantees, and safety for their investments and transactions. Until they see high risks, the cooperation of banks with the Bitcoin owners is vague. Nevertheless, I am positively sure that the progress is unstoppable, and leading banks are already engaging blockchain tech into their activities. The new world of finance is yet to come, but we’ll see it very soon. I’ll give you the short chart of the financial entities that are not afraid to work with the crypto assets and offer their clients various services to facilitate BTC trading. Such banks provide cryptocurrency friendly services to the public, which means that downtimes for the players of the crypto market on the digital platforms have finished, hopefully for good. The reputable Bitcoin experts believe that most financiers will work with decentralized assets after the day when BTC receives a legal status. Meanwhile, some of them have decided not to wait and take the leading positions in this trend. After considering the options, careful analysis, and risk assessment by the best experts and specialists, a number of financial organizations have started their active cooperation with the cryptocurrency. Ally bank is the first in this list, not without a reason. It works exclusively online, suggesting 24/7 support, including online chat, which makes it very convenient for users. Having both attractive plans for the banking starters and very good comments from clients, it gives confidence to the crypto owners, and guarantees that they will not have any issues with their transactions. Ally was originally launched as GMAC Bank, and rebranded in 2010. Its owners went further than the majority of their colleagues in cooperating with the crypto world. The clients of this company can link their bank account to their Coinbase profiles, and use debit cards to buy tokens. Credits cards are also allowed, but when using them you’ll have to pay the fees. USAA is the Coinbase partnered bank, which allows users to check their bitcoin balance from the mobile apps, and invests in the exchange. Being the first major bank to make investments in the online trading platform, it not only provides beneficial services for crypto users, but also supports Bitcoin as it is. I prefer this one, as it allows me to access my Coinbase account, monitor transactions, check the balance, and use my bank account to purchase crypto assets, which is highly appreciated by me as a user. Simple Bank is located in the United States and works freely with various cryptocurrency exchanges and large transactions, which makes it a favorable choice for many. The users of this bank are able to sell and buy cryptocurrencies any time and in any way they want. It is important to note that Simple Bank insures are deposits by the Federal Deposit Insurance Corporation. It operates online, without any physical branches. The users can access their accounts and make transactions via the web-based platform, or with the help of gadgets. Remember, that it is available for US citizens exclusively, and works only within the borders of the USA. The eligible users may trade cryptos freely, 24/7, with little to no limitations. In my personal subjective opinion, the number of big banks being Bitcoin friendly will increase significantly in the near future in the US and elsewhere. Change has been slow, but these types of technologies will mature over time. Being pressured by public opinion and public relations campaigns, actively supported by the Bitcoin users all over the world, banks will have no choice but to adopt all the cryptocurrency online transactions. The bankers know that in order to remain up-to-date they have to virtualize and digitize their services, make them as handy and fast as Bitcoin. And this will open the way for a broad acceptance of digital currencies. Some banks would like to resist such a tendency and stop it, but it is inevitable; as I have already said, you cannot stop the flow of time. Reality shows that a large percentage of people in the world are interested in purchasing virtual currency. In the social consciousness, a consumer of bank services is the only one who matters. If you have no customers, your bank is useless and dies, so the bank specialists acknowledge that it would be wise to pay attention to the clients’ preferences. Since people want to be able to buy and exchange Bitcoin or whatever other crypto, that undoubtedly should be on the list of the bank services. There are still quite a number of rumors and stereotypes about cryptocurrencies. Yet, Bitcoin friendly banks have become something usual in all countries, a bank account becomes a common payment method for lots of users in the USA and elsewhere. Blockchain businesses, still a new phenomenon in the world economy, definitely have quite a way to go to take their place among major corporations. That will probably take some time as well as campaigning. I would recommend keeping an eye on Bitcoin friendly banks, and take into consideration, that the trends may change quickly. The banking system is sometimes unpredictable towards cryptocurrencies and your account can be blocked if the bankers decide to hold on and freeze all cooperation with BTC. It has happened before, and it can happen again. It does not mean, though, that I feel pessimistic; on the contrary, I believe that things will only go forwards. I only recommend being careful, that’s all. Author: John RyanJohn Ryan has been a cryptocurrency writer for 4 years. His main focus is new tendencies and analysis in the cryptocurrency world. He always seeks for development and ideas to give people valuable content. You can see his other articles at https://bitcoinbestbuy.com.